Black and white image . 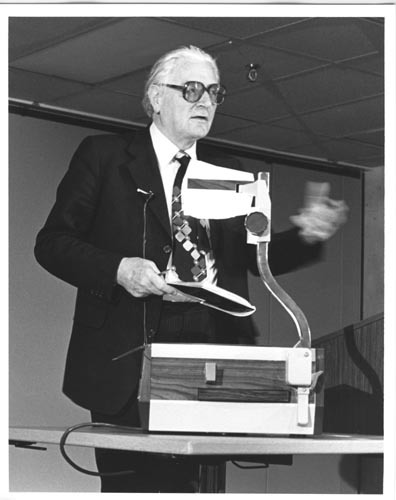 Konrad Zuse lecturing at the Digital Computer Museum, March 4, 1981. His lecture was on Designing and Developing the Z1-Z4 computers. Verso: "Konrad Zuse" in pencil.